The idea of American exceptionalism continues to be seen as somehow linked with the advent of American statehood. How are we to account for this connection? What are the roots of American political identity? Of American national identity? Have subsequent American developments fundamentally transformed the nature of the country, or is our destiny as a people working itself out in accord with our beginning? The writings of Alexis de Tocqueville, Orestes Brownson and Fr. John Courtney Murray offer the starting points in our exploration of the continuities and changes of these and other charged terms through American and global history. Cost: A $900 registration fee is requested for overhead purposes and represents a small fraction of the true cost of the program. The seminar is open to advanced undergraduates (including graduating seniors), graduate students and professionals with interests in moral philosophy, politics, sociology, and economics. The application deadline for the seminar is March 15, 2018. Applicants can expect to receive a decision by April 5, 2018. Only after the applicant's acceptance to the Seminar has been confirmed will he or she be instructed to pay the US$900 registration fee. Thomas D. D’Andrea is a Fellow at Wolfson College, Cambridge, UK, and Director of the Institute for the Study of Philosophy, Politics, and Religion (ISPPR). In 2001 he was a Visiting Fellow at the James Madison Program of Princeton University, and he has lectured with the Politics Department at Princeton and in the Department of Moral Philosophy at the University of St. Andrews. His research interests include the moral and political thought of the Aristotelian tradition. He has published articles and reviews in ancient philosophy, medieval philosophy, ethics, and the philosophy of religion. He is considered an expert in the philosophical thought of Alasdair MacIntyre and his book on this matter "Tradition, Rationality, and Virtue: The Thought of Alasdair MacIntyre" is described as "unrivaled in its range and attention . . . No-one seriously interested in the course of development of one of the main philosophical projects of the present day can afford to overlook this welcome guide". Professor Nolan’s teaching and research interests fall within the general areas of law and society, culture, technology and social change, and historical comparative sociology. His latest book, published through Cambridge University Press, is "What They Saw in America: Alexis de Tocqueville, Max Weber, G.K. Chesterton, and Sayyid Qutb", an exploration of the journeys of four distinguished, yet very different foreign visitors who traveled to the United States between 1830 and 1950 . His current research project, "Delivering Little Boy", is a unique look at the Manhattan Project and the early years of the nuclear age. His previous books include Legal Accents, Legal Borrowing: The International Problem-Solving Court Movement (2009); Reinventing Justice: The American Drug Court Movement (2001); and The Therapeutic State: Justifying Government at Century’s End (1998). He is the recipient of several grants and awards including National Endowment for the Humanities fellowships and a Fulbright scholarship. He has held visiting fellowships at Oxford University, Loughborough University, and the University of Notre Dame. Dr. Danilo Petranovich is Director of the Abigail Adams Institute and is responsible for the Institute's strategic planning, developing its intellectual mission and academic programming, cultivating faculty and student partners, and contributor outreach in the greater New England area. Dr. Petranovich received his BA from Harvard and his PhD in Political Science from Yale. He taught courses in political theory, social thought, and the humanities at Duke and at Yale. 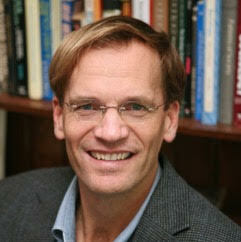 His expertise is in nineteenth century European and American political thought.